In Jung’s model of typology, sensation, like intuition, is an irrational function. It perceives concrete facts, with no judgment of what they mean or what they are worth. 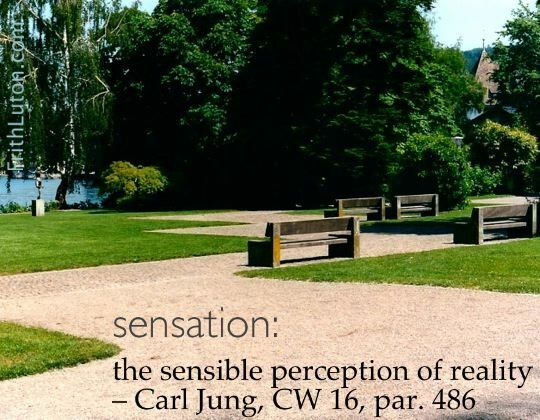 Jung also distinguished between sensuous or concrete sensation and abstract sensation.